This image is the best picture yet of the all-new Triumph Adventurer 1200. The inline three-cylinder adventure bike was spotted in production-ready trim undergoing final tests ahead of its November launch. 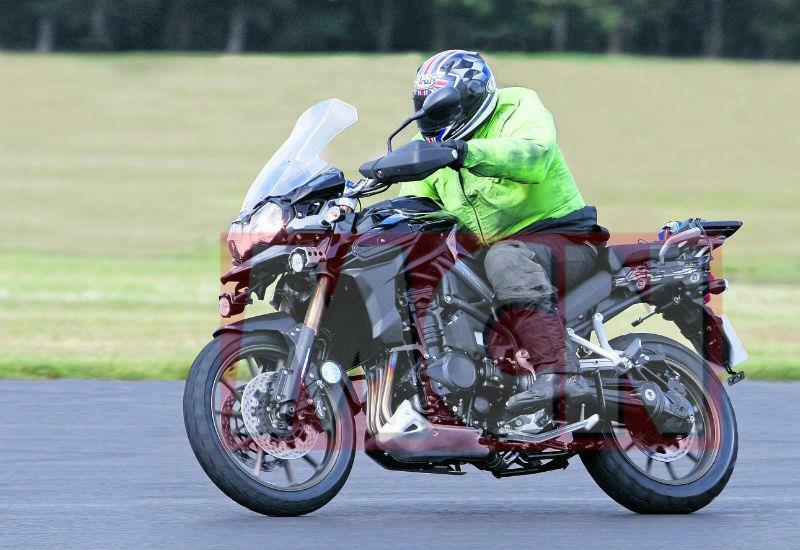 The new Triumph will go head-to-head with the all-conquering and class-defining BMW R1200GS adventure bike when it goes on sale early in 2012, and is expected to cost around £10,500 - the same as the current base R1200GS. The Adventurer has an inline three-cylinder motor with a capacity though to be between 1150cc and 1180cc, according to insiders. Insiders estimate it will produce around 140bhp, with class-leading torque. MCN exclusively revealed back in March 2009 that Triumph was designing an all-new 1200cc three-cylinder adventure bike rival to the GS, and a new tourer which will probably be called the Trophy. Read more about Triumph's GS rival in the September 7 issue of MCN, on sale now. Don't miss out, get MCN from only £1 an issue when you subscribe today. Inside this week's new-look MCN: Time up for the R1200GS?